The ink, like most Sailors, is very nicely lubricated and highly saturated. As a dark saturated ink, however, its shading, while there, is somewhat subtle. The blue-black leans towards the purple rather than the green side of blue and its dry time, while not as bad as some inks (and even some Sailor inks) is on-par with most Sailor inks in that it's far from a quick dryer at over 30 seconds on Rhoda paper. Where it gets interesting is with the sheen! Never have I seen an ink that sheens two different colours. Blues sheen Red or copper, Purples and reds green or gold and some other sheens silver. Kobe #38 sheens both a matte burgundy red on it's surface, and where the ink pools a nice shiny green. Two sheens for one ink! It does need Tomoe River and a wet pen to bring out the green but it is there. The Chromatography features a grey line where the ink was put onto the paper, some purple, some blue-leaning black and finally some cerulean blue. I imagine it gets the green sheen from the purple component if the ink. 1) Private Reserve Midnight Blues, 2) Robert Oster Blue Night, 3) Noodler's Bad Belted Kingfisher, 4) Iroshizuku Shin-Kai, 5) Bungubox 4B. 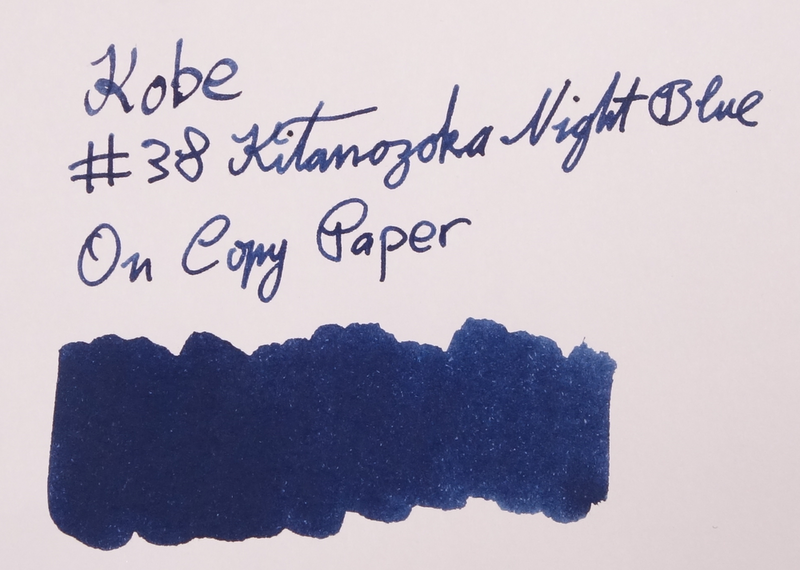 The best comparison that I have to Kobe #38 is Rober Oster Blue Night. It won't sheen the same but the hue and shading are very similar. Iroshizuku Shin-Kai is a little too grey, and Bungubox 4B is too green leaning while both Private Reserve Midnight Blues and Noodler's Bad Belted Kingfisher are both bluer (with less black than Kobe #38) and have even less shading. Surprisingly, and comparably to Bungubox Valentines Choco Brown, the ink fair pretty well in the wet leaving behind a grey line after the blue is washed (and slightly rubbed) away. This ink, thanks to the sheen is in my top two blue-blacks along with Bungubox 4B. While I would prefer more shading, I love the hue and the sheen is just something special. Sailor inks are my favourite ink-brand but apart from the internationally sold inks they come with a price tag and with this one, I think it's worth it. 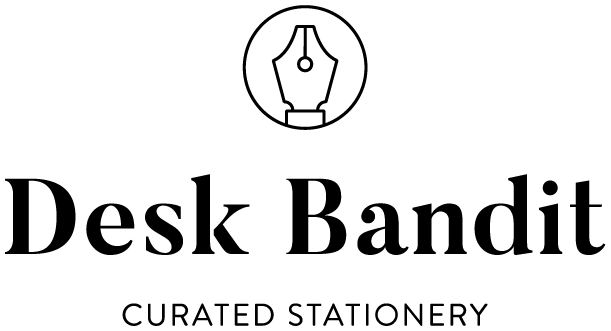 It's priced less than Bungubox and Iroshizuku and I definitely prefer it to the latter. If you have a wet nib and Tomoe River I can't recommend this enough, but if you don't, I still think it's still a solid blue-black that deserves consideration. I bought this ink from cool-japan on Ebay. I was not compensated for this review and everything here is my own honest opinion. There are no affiliate links.